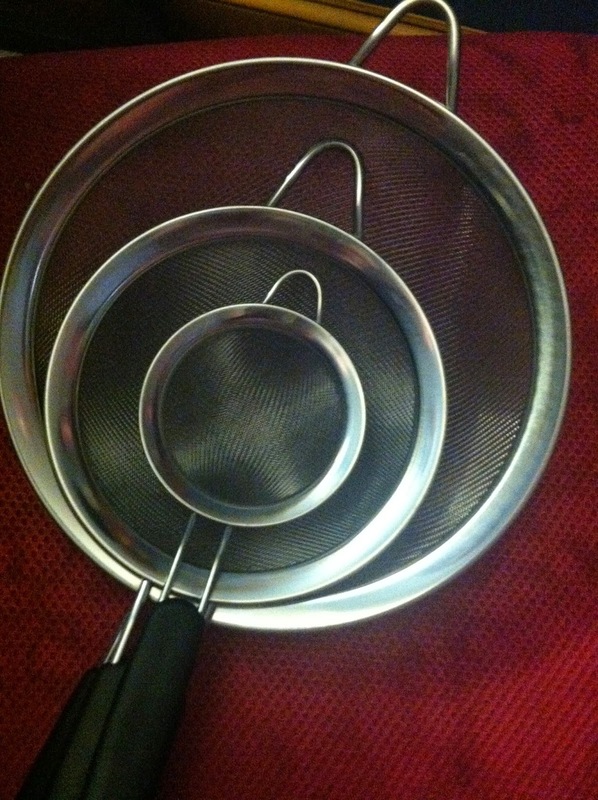 I have been using the same strainer for years. 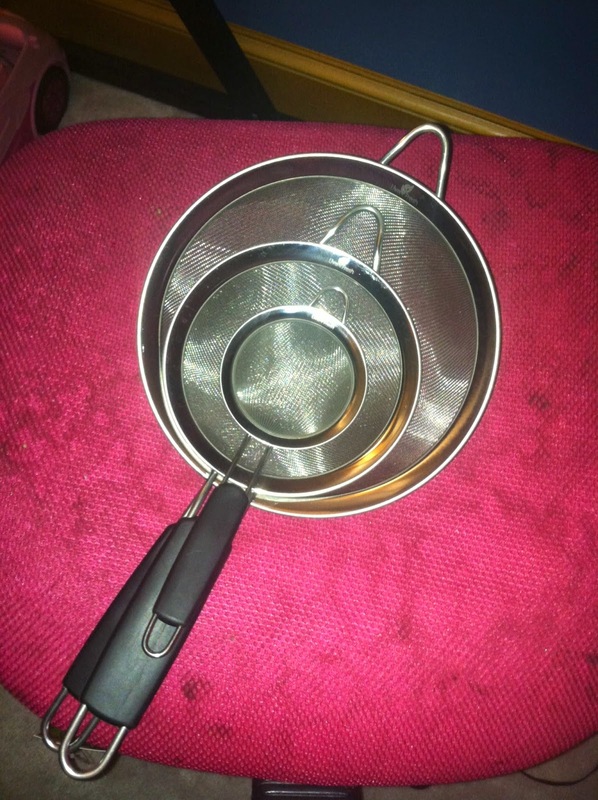 It's an old plastic yellow one that looks completely beat up so I was thrilled to review the Premium Fine Mesh Stainless Steel Strainers from Live Fresh. So far I used the small one to add some powered sugar to my daughter's pancake dinner and the large to clean the salad I was making for myself. There are black wraps around the handles for easy lifting and so they don't get if you keep them in a pan and are also non slip. The mesh appears to be woven finely so you can strain small items like quinoa or Farina if you wanted to. 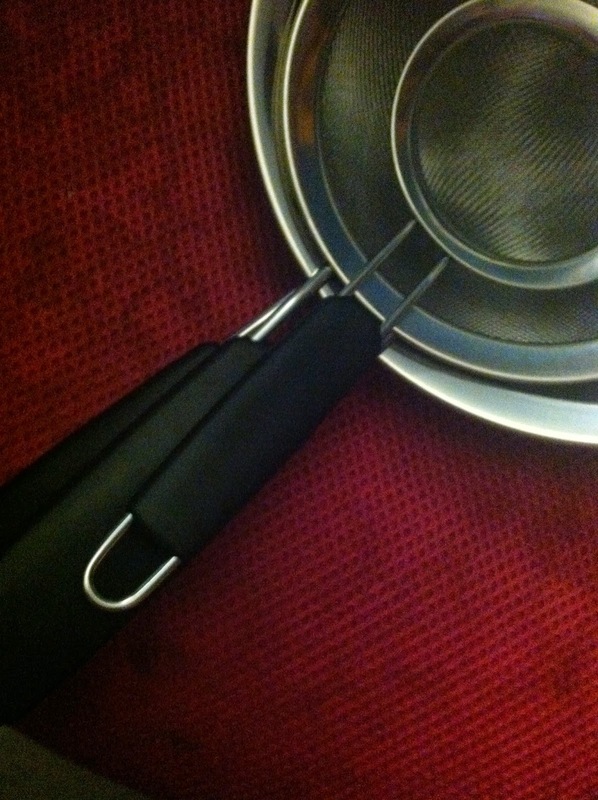 The strainers can be hung up by the handle or the strainer piece. I have them hanging by my sink and use at least one of them a day! 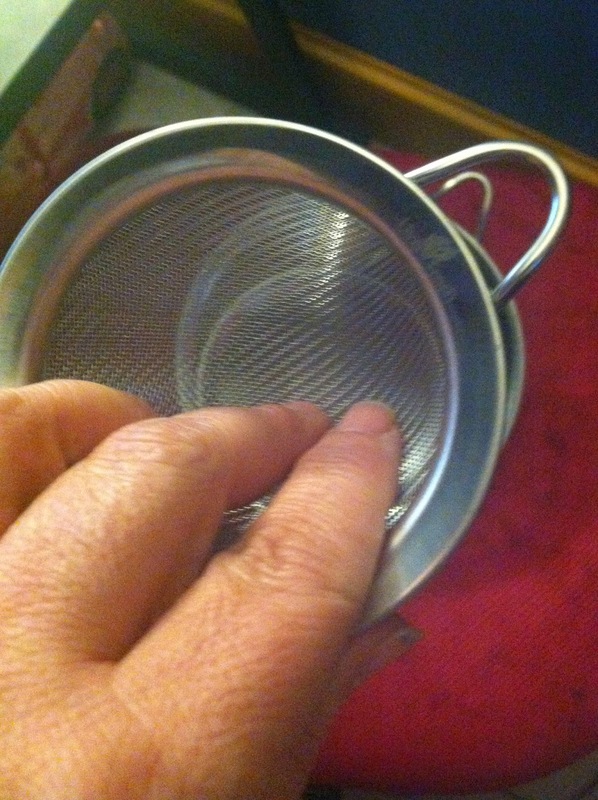 Excellent for Making Baby Food - Just Mash Soft Foods Through the Durable Wire Mesh. This is the Highest Quality 3-PC Set of Mesh Strainers on the Market We added comfortable, non-slip, heat-proof handles for easier handling and safety. We made the wire mesh finer to strain & sift the smallest ingredients including almond milk, yogurt, smoothies, soups, & quinoa. We sealed the steel rim to prevent food from getting stuck between it and the mesh. 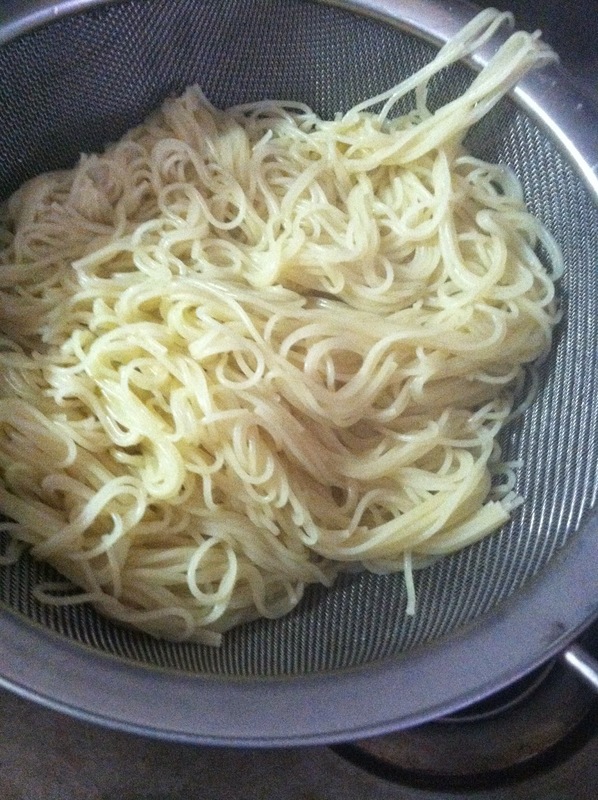 Other strainers bend and flex easily, but not Live Fresh strainers. 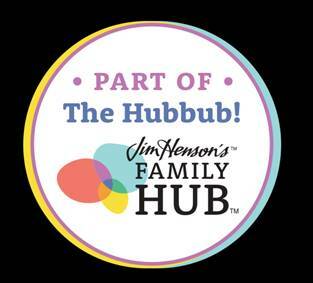 Compare us to OXO, Cuisinart, or Culina - our steel is thicker and our welds are stronger, guaranteed! 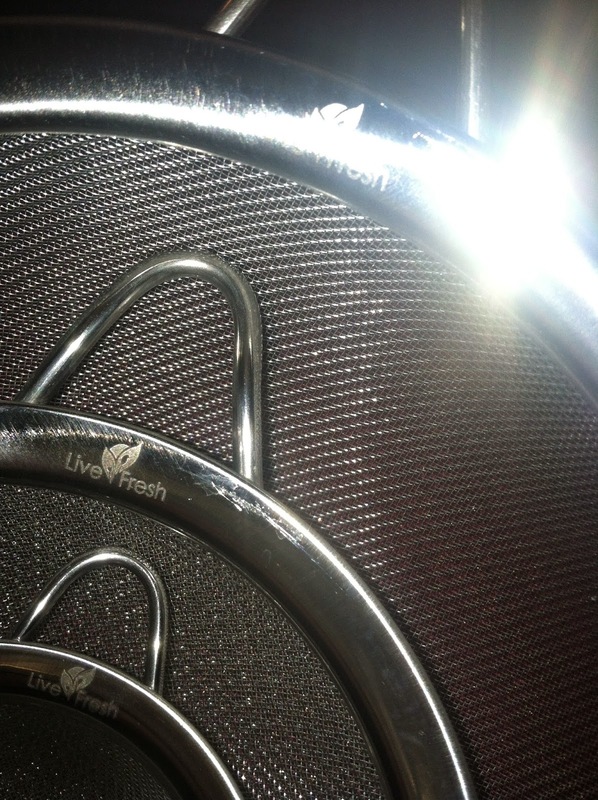 LiveFresh Steel Strainers are Premium Quality. If you don't love them, get your money back, guaranteed. Limited Time Only! 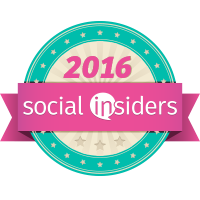 For a Limited Time, All Live Fresh Customers Get Access to Our Private VIP Group. 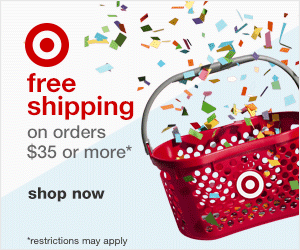 Our VIPs Receive Discount Promo Codes and Get to Test and Keep Our New Products For Free.